Building a website for the first time? 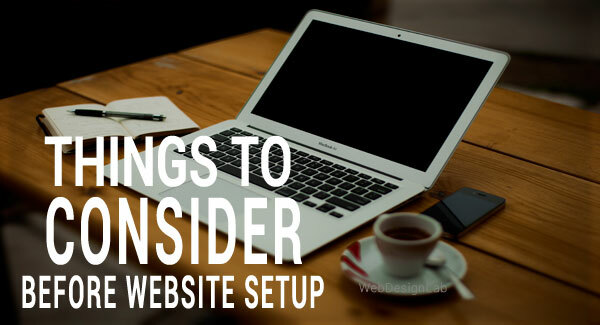 Here are few things which every website owner should consider. Is the purpose of your site to inform people that your business exists and encourage them to get in touch? Is it to sell your products online? Or want to showcase your creative work? Having a clear focus will help you as well as your visitors. Have a look at other websites in your field. Look out about their layout, design and functionality. It’s not easy to change it at a later date. So choose it wisely. Choose reliable hosting. Same as Step No #2. Do research. Spend some time visiting websites of your competitors to decide the layout you want to go for. Accordingly plan page design and content for your website with web designer. Your logo is a visual cornerstone of a company’s brand. Your company’s identity is visually expressed through its logo, which is one of the main things that makes your business memorable. Good website is all about images and content (Along Good Design). Choose images which will represent the purpose of website effectively. Don’t write in with long, lengthy paragraphs. Keep your content relevant and concise to hold your visitors’ attention. Content will help make your brand stand out of the crowd. Set deadline with designer and developer otherwise you will end up with endless work. The reason that it is important to set and meet deadlines is so that the recipient receives the quality standard . It also makes it easier for designer and developer to go over your work and check to see if it reaches the quality standard. Meeting deadlines ensures reliability and respect for anyone. This is especially important for sites on a budget. Make sure your site is built with growth in mind. The design should allow for additional pages as needed. Best solution to search engine ranking is to simply keep your site updated. The more updates you do, and the more valuable the information your site has on it, the higher your site will rise in search rankings.